Kickboxing New Orleans | Why is Muay Thai Good for MMA? There are dozens of different striking martial arts; however, the majority of mixed martial arts fighters default to Muay Thai as their striking art of choice. Is Muay Thai really superior to other striking martial arts? Kickboxing New Orleans is here to sort it out! K-1 is a kickboxing organization that was founded in 1993. It had a goal similar to that of the UFC: to bring in fighters of various styles and have them fight to see which style reigned supreme. The difference was that K-1 was only interested in striking styles and organized its rules to reflect this. The winners of the various K-1 tournaments have claimed numerous different styles from kickboxing to Tae Kwon Do to Karate to Muay Thai. There didn’t appear to be any particular style that was dramatically superior to the others. More importantly, the fighters’ tactics didn’t vary very much from style to style, if at all. There were definitely fighters that had unique approaches, but these approaches seem to be unique to the fighter himself, not the style with which he chose to brand himself. What this ultimately amounts to is that an effective punch is an effective punch and an effective kick is an effective kick. Most reality based striking arts teach them the same way. What really separates the different arts is the rules they use to practice and compete using these techniques. For instance, in most contact Tae Kwon Do competitions, punches to the head are not allowed, so competitors hold their hands much lower and don’t move their heads as much as in other arts. In boxing, striking with the back of the hand is illegal, thus eliminating the spinning backhand, a technique common in most kickboxing competitions. When K-1 brought all of these fighters together, they merely adapted their techniques for the K-1 rule set. This is why it can be difficult to determine what style a fighter claimed by simply watching him fight in K-1. A smart fighter will use the techniques most effective for the current rule set instead of the ones which may be the most iconic to their particular style. This is the Muay Thai difference. It is not that other striking arts are less effective in MMA. It is more that the Muay Thai rule set is much closer to the MMA rule set. Being able to throw knees, swing elbows, and clinch for prolonged periods of time are things not allowed in most other striking competitions, but they are perfectly legal in MMA and Muay Thai. Practicing Muay Thai allows a much smoother transition to MMA as most of the techniques and tactics will require little to no modification, whereas other arts’ typical strategies may need heavy modification and practice before they can be applied successfully in the cage. Any striking art that maintains live sparring as a primary means of practice can be transitioned into the cage effectively. But, if you have not already started striking training and your ultimate goal is fighting MMA, Muay Thai is your best bet. Make your practice as close to your competition as safety will allow. There are dozens of different striking martial arts; however, the majority of mixed martial arts fighters default to Muay Thai as their striking art of choice. 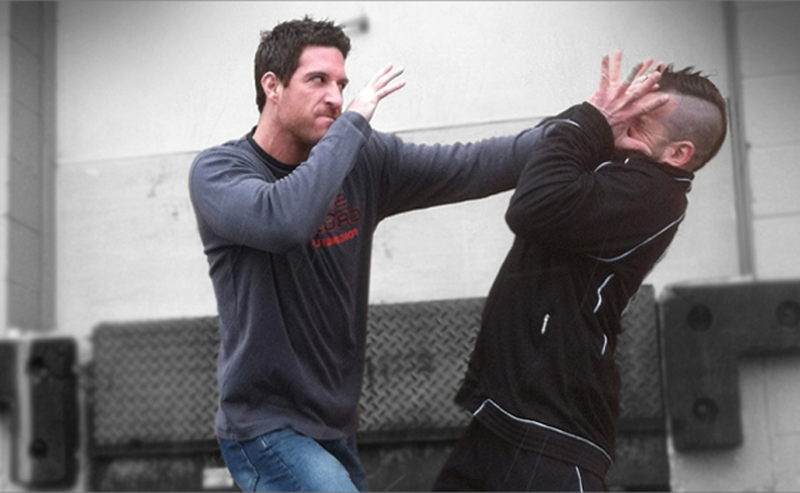 The top 5 simplest, most effective self defense techniques. The question then is how can we tell the difference between a fitness fad and a legitimate fitness innovation?